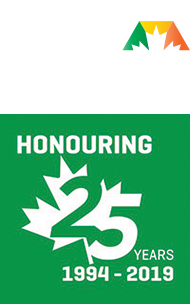 Over the past 25 years, NPL Canada has grown into one of Canada’s premier underground utility contractors with an industry-leading reputation for safety, quality, and customer relationships. NPL Canada is one of North America’s largest energy services contractors with extensive pipeline experience and expertise. As a full-service utility contractor, we deliver a complete range of construction and maintenance services to the utility industry across Canada with a vision of sustainability for the future. As a leading energy services construction company with services designed towards effectiveness, efficiency and scale, we operate from a unique “alliance” model that delivers significant added value to our utility and energy customers. This sets the standard for best-in-class service and safety within our industry. We’re driven by our commitments to Sustainability, Safety and Quality. In turn, these commitments define our results. Thinking ahead with a vision for the future, we’re committed to proven, predictive systems that endure over time and sustain the legacy of our work as well as the communities we serve. NPL Canada is guided by a mission of sustainability for the future. With a commitment to alliances with our customers and suppliers, high levels of collaboration within our teams and a vision for a better future, our services are designed towards effectiveness, efficiency and scale. Our teams pride themselves on projects that combine maximum value with the lowest maintenance possible. Here’s how you can contact us for more information on NPL Canada and current employment opportunities.